Thank you for subscribing to the Identity Automation blog. You will now be notified when new posts are available. Just because you’ve found a solution that works for your enterprise for the time being, solving issues as they arise, does not mean your organization is safe in the long term. 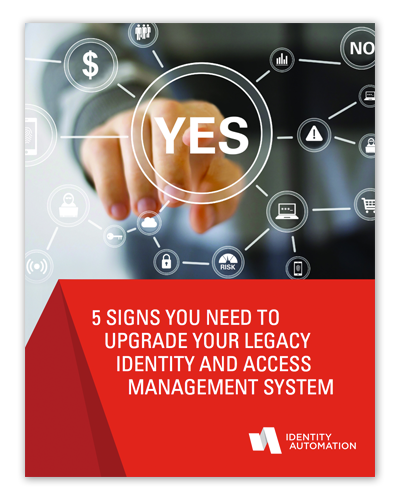 In fact, this makeshift solution you've pieced together with legacy systems and point solutions may actually multiply the problems and vulnerabilities your organization faces.